This edited collection is a major contribution to the current development of a ‘material turn’ in the social sciences and humanities. 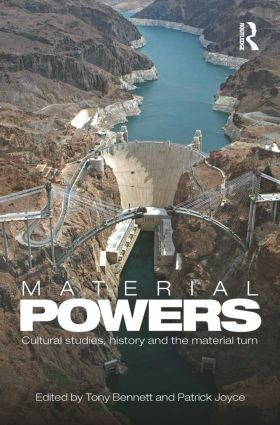 It does so by exploring new understandings of how power is made up and exercised by examining the role of material infrastructures in the organization of state power and the role of material cultural practices in the organization of colonial forms of governance. A diverse range of historical examples is drawn on in illustrating these concerns – from the role of territorial engineering projects in seventeenth-century France through the development of the postal system in nineteenth-century Britain to the relations between the state and road-building in contemporary Peru, for example. The colonial contexts examined are similarly varied, ranging from the role of photographic practices in the constitution of colonial power in India and the measurement of the bodies of the colonized in French colonial practices to the part played by the relations between museums and expeditions in the organization of Australian forms of colonial rule. These specific concerns are connected to major critical re-examination of the limits of the earlier formulations of cultural materialism and the logic of the ‘cultural turn’. The collection brings together a group of key international scholars whose work has played a leading role in debates in and across the fields of history, visual culture studies, anthropology, geography, cultural studies, museum studies, and literary studies.